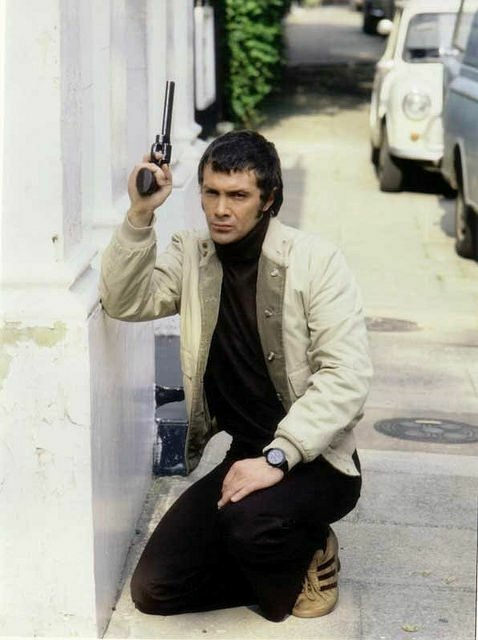 #394......"LEWIS COLLINS" - BODIE 3.7 . you'll never walk alone ! Love this shot! I like the way he's standing (kneeling) out against the background so sharply (if that's a word!). A completely new image to me as well. Thank you! mmm, it's a favourite of mine (i know i say that quite a lot) but it's classic Bodie, geared up for action and ready to pounce at a moments notice.